Any diehard shell hunter knows it sometimes takes a little digging to find those true diamonds in the sand. But on June 21 (National Seashell Day! ), the greatest find won’t require a shovel and a bucket—instead, it may require an airplane. Casa Caracol It just may be the ultimate beachcomber’s fantasy: a private beach home shaped like a giant seashell. Make that two giant seashells—a conch (dubbed “Queen Conch”) and a nautilus (“Moon Shell”)—designed by architect Eduardo Ocampo. 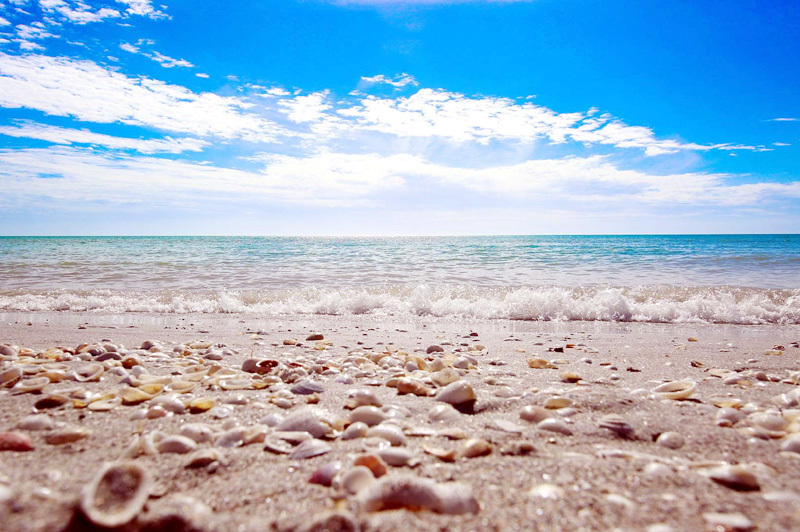 The record attempt, organized by the Lee County Visitor & Convention Bureau, is the signature event of National Seashell Day, a holiday first formed by the beaches of Fort Myers and Sanibel in 2016. On the morning of June 21, participants will gather on the sand in front of Fort Myers’ Outrigger Beach Resort, where they’ll receive matching T-shirts and their spot in the seashell. While all 1,500 slots are full, you can still stop by to watch the historic attempt take place (visitors are also encouraged to bring canned food for donation to area food banks).